The interior of the bathrooms has been one of the most experimented elements of housing. People love to have personalized floors and walls in their bathrooms. When it comes choosing the right design for your bathroom, you can pick floral bathroom tiles to get a right contrast with other accessories. 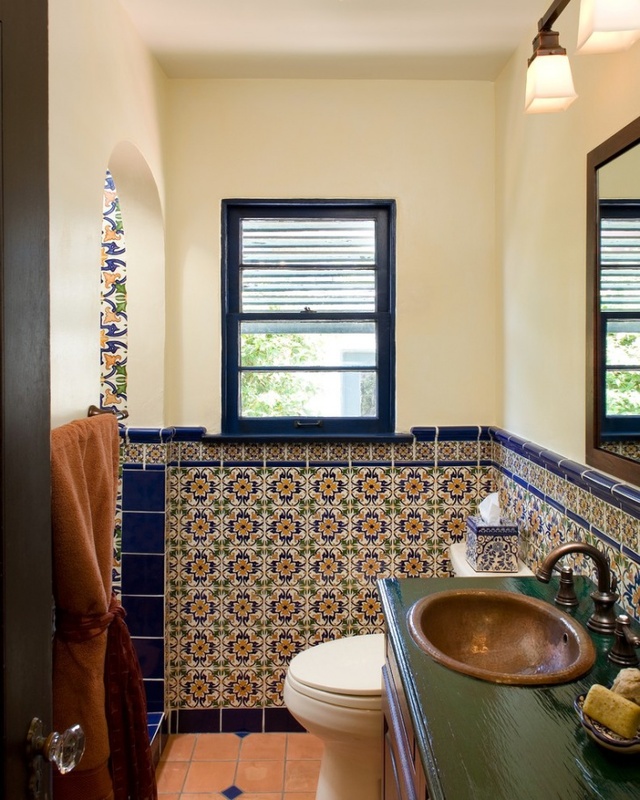 Diverse colors and designs can be incorporated in the bathroom tiles to yield the right look. 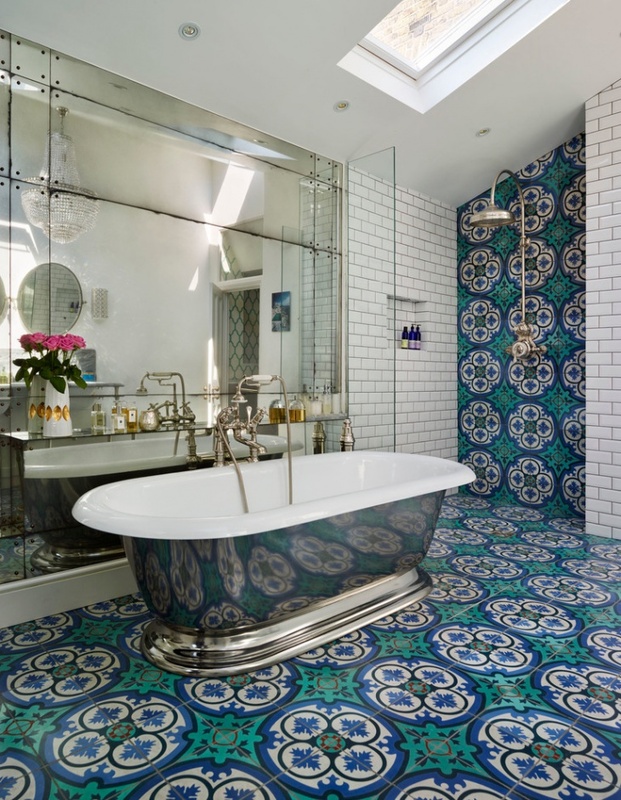 Here are ten great bathroom tile ideas for you. 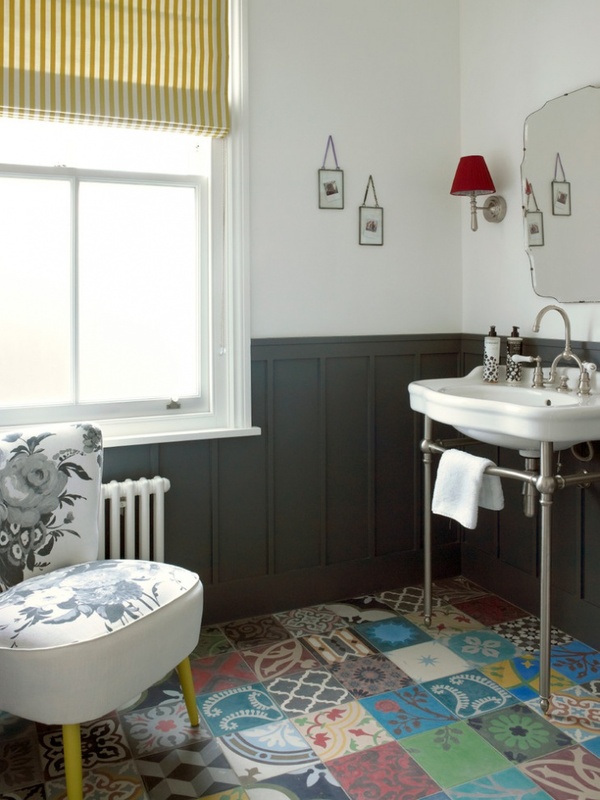 A vintage bathroom needs cool colour shades like soft grey and olive green. The bathroom tiles are coloured in these mild shades, and it goes well with narrow bathrooms. You can choose a matching floor design with small pieces of square tiles and incorporate light coloured cabinets and sinks to retain the softness of the shade. 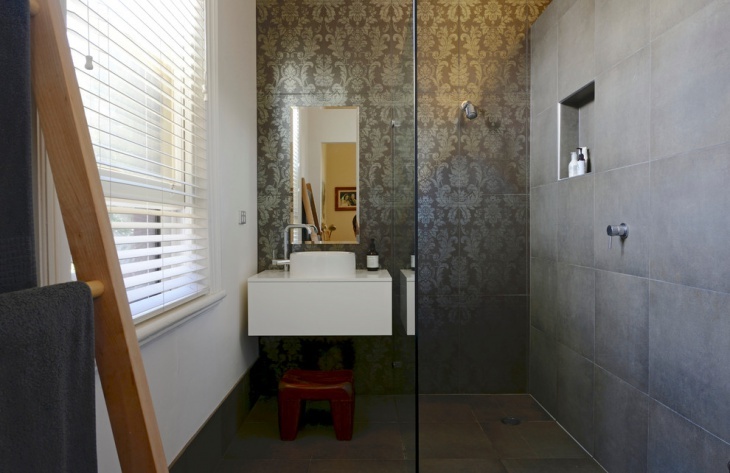 Grey floral tiles have a perfect compatibility with compact bathrooms. It has the ability to complement off-white or cream colour of the walls. This lighter shade looks prominent on the deeper grey shade in the tiles. You can yield perfect beauty from this setting. 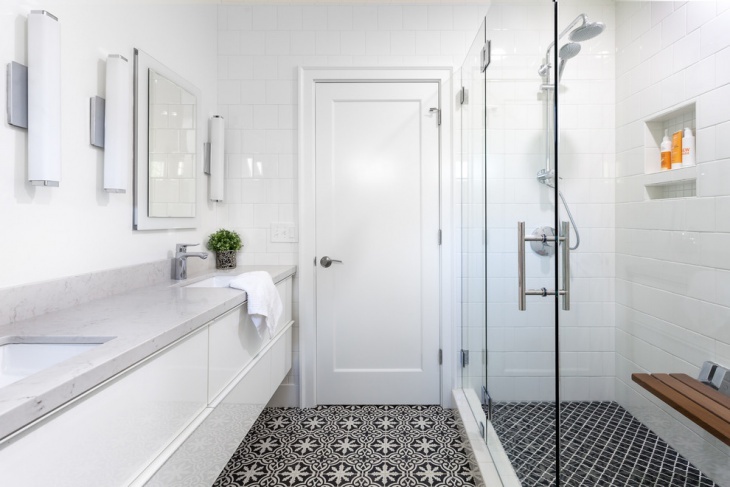 When you have a Victorian-styled interior in the bathroom, you can incorporate the right combination of small and large tiles to yield a gorgeous look. 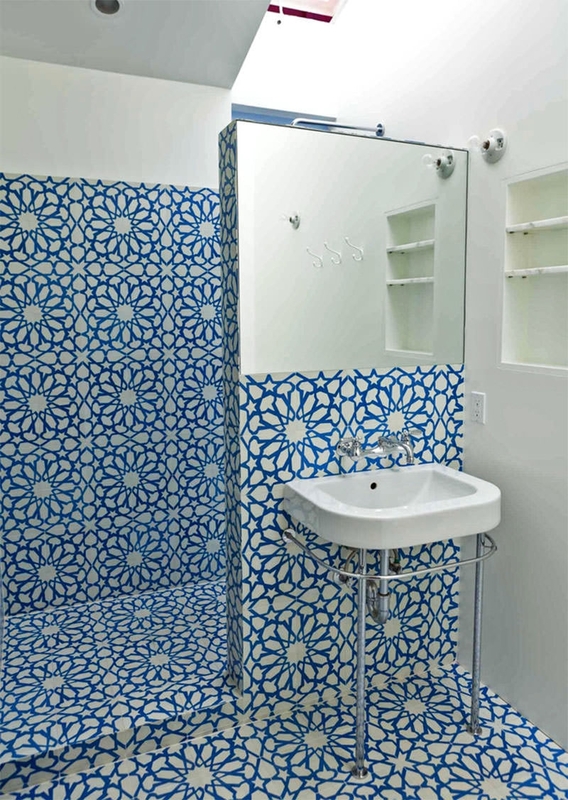 The larger blue floor tiles look contrasting with the small light coloured wall tiles. You can opt for a glass countertop to enhance the look of the bathroom. When you plan a guest bathroom, you seek for innovative ideas. 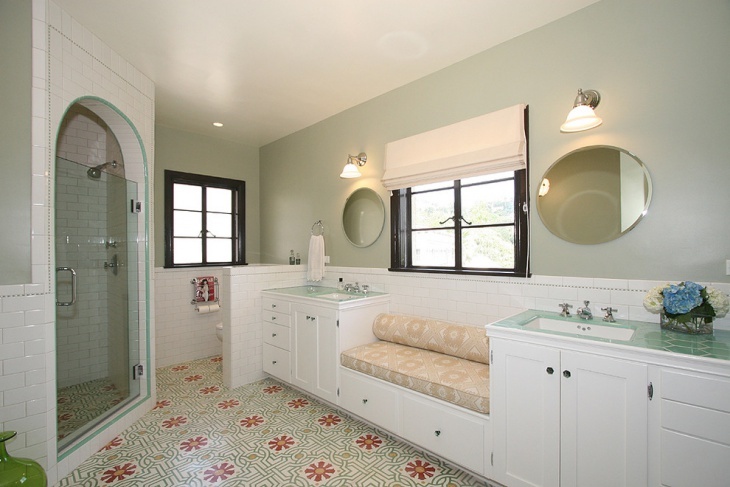 You can incorporate the Small Bathroom Tile design idea when you look out for a change. The red and green floral pattern enjoys great compatibility with the white background here. Floral tiles made of ceramic brings a sophisticated look to your bathroom. 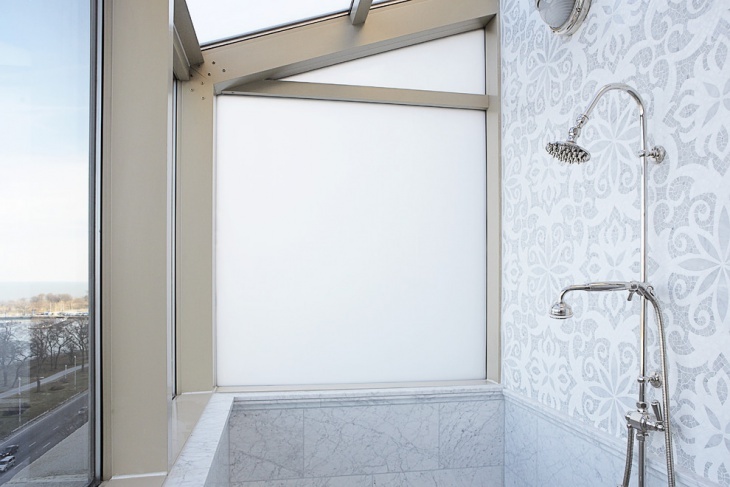 When you have a small bathroom with a glass shower screen, you can try out this design. Choose for light coloured ceramic tiles for the floors and walls. A blue cabinet adds contrast to the room. The floral designs look great on ceramic tiles, especially if you have a walk-in shower in your bathroom. The sophisticated brown tiles on the walls look beautiful. The contrasting colours for the walls look beautiful in this particular setting. A brown floor makes the bathroom complete. 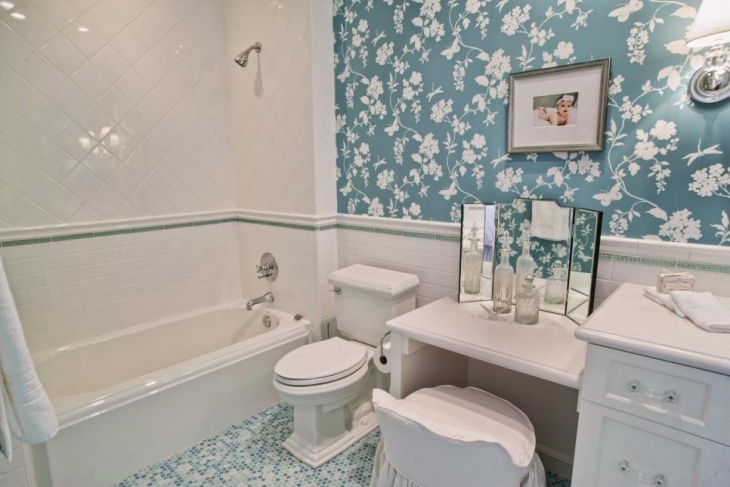 In many modern bathrooms, bright and contrasting floral patterns look great for the floors. With a pedestal sink and other white accessories, this type of interior design has a good compatibility. 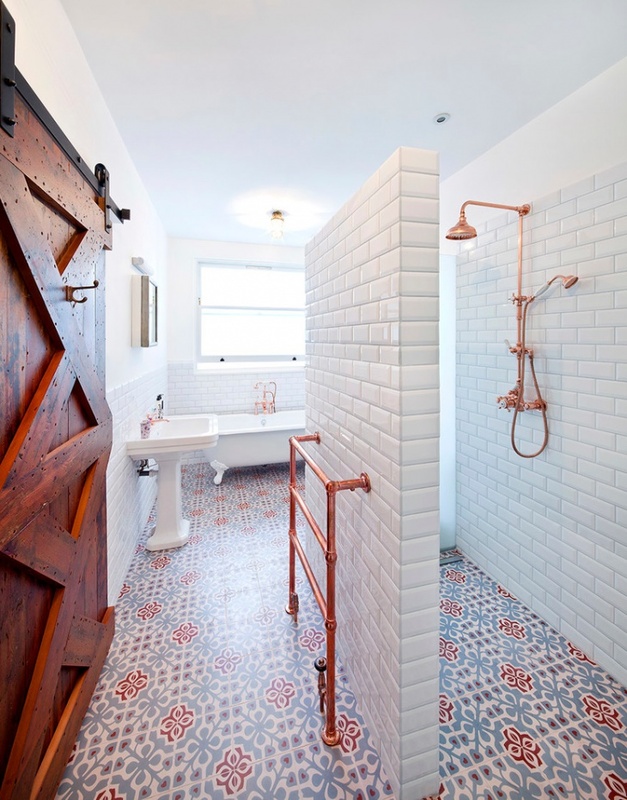 For the walls, you can use white-brick themed tiles and this makes the bathroom beautiful. 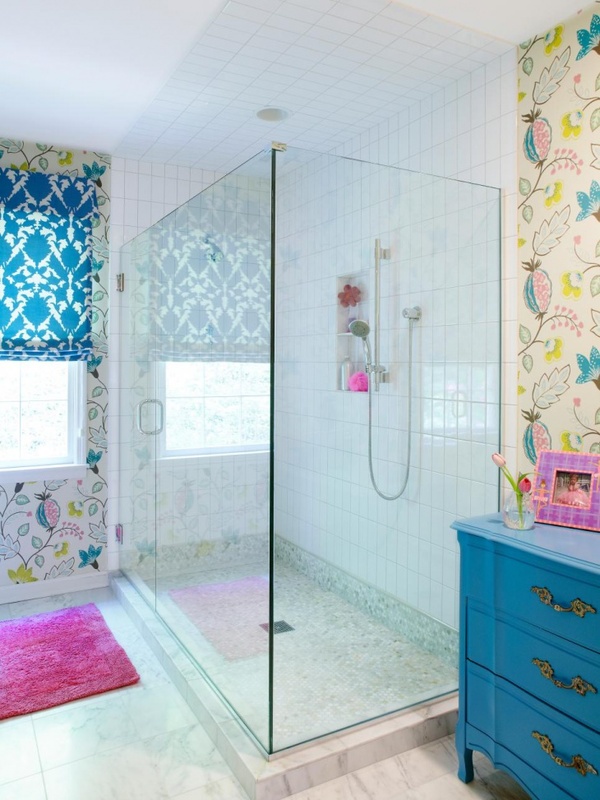 You may like the small tiles with blue and white floral patterns in bathrooms with walk-in showers. These look beautiful when you have a white upper wall. 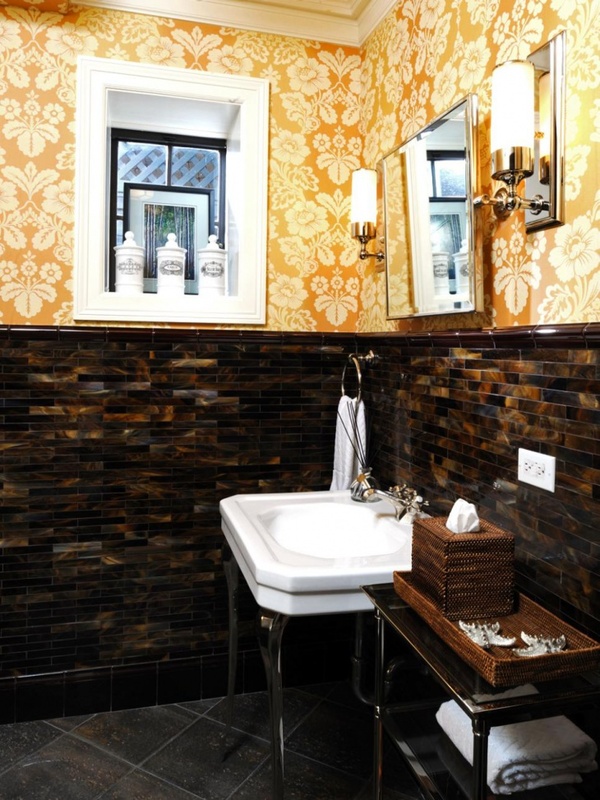 Place the mirror above the sink to yield a bright ambience in the bathroom. 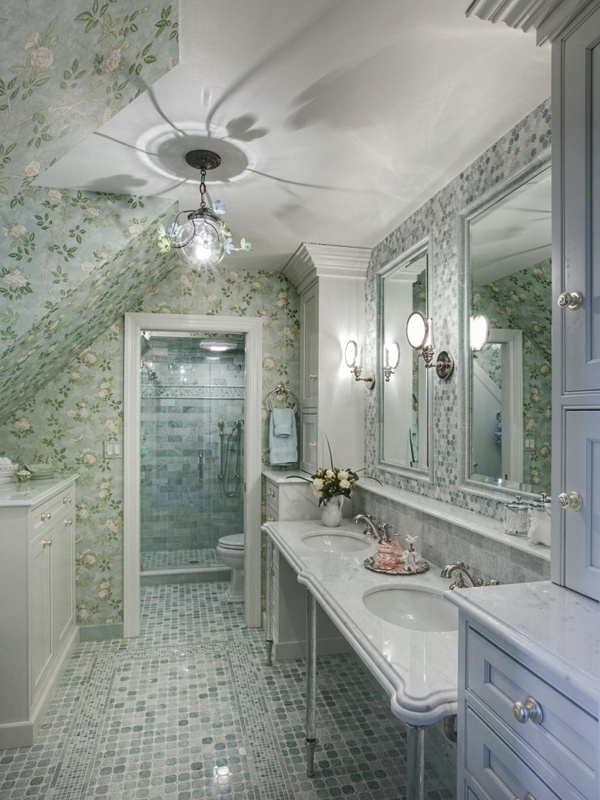 Floral tiles can be masterfully implemented in luxurious bathroom interiors. A silver-grey paint is ideal for the bathroom. 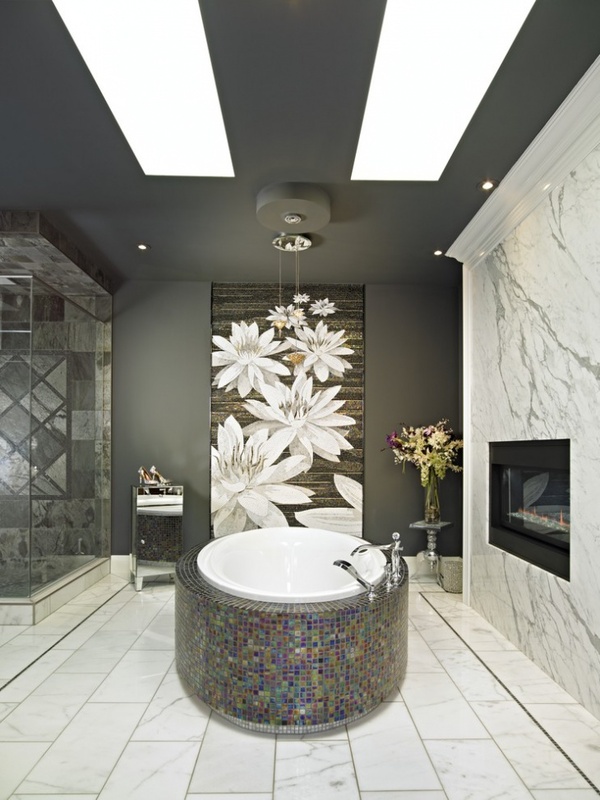 The bathtub has a superb exterior surface, made of small colourful tiles. With a dark ceiling and matching walls, you would like to have a white marble floor. 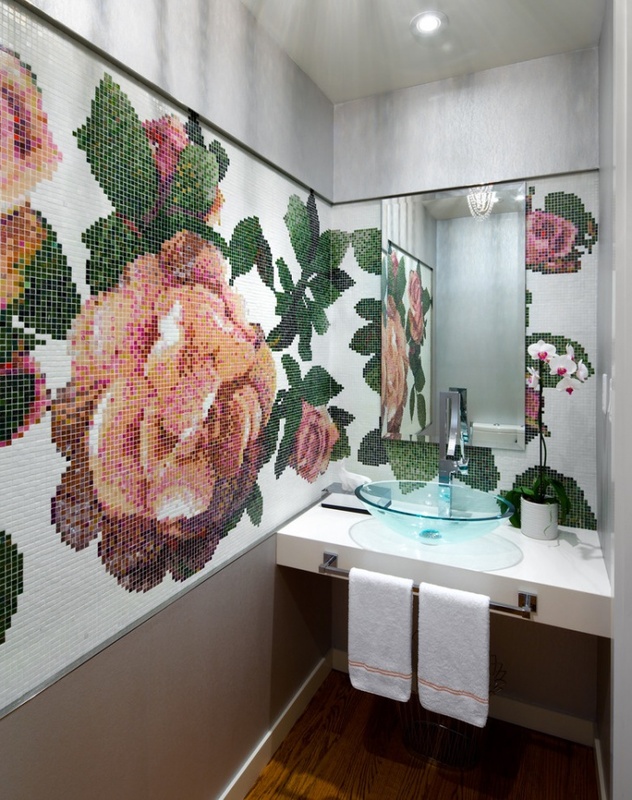 Experimentation with floral bathroom tiles is evident from the different trending bathroom interior trends. 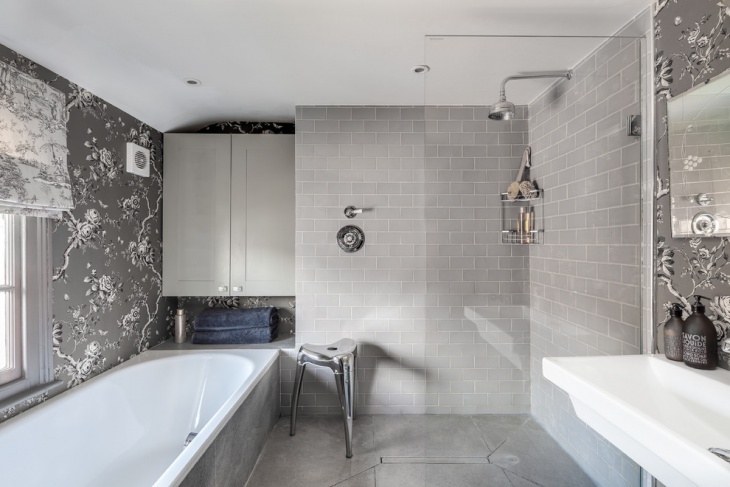 There are different new designs coming up over the years, like Blue Tile Bathroom and the preference for Geometric Tiles on the walls and floors. You too can come up with your innovative floral bathroom tile ideas. feel free to share your ideas with us.